Six students from secondary schools and the H. Lavity Stoutt Community College (HLSCC) received prizes as winners in the 30th Anniversary International Business Companies Act essay competition last Friday December 19. 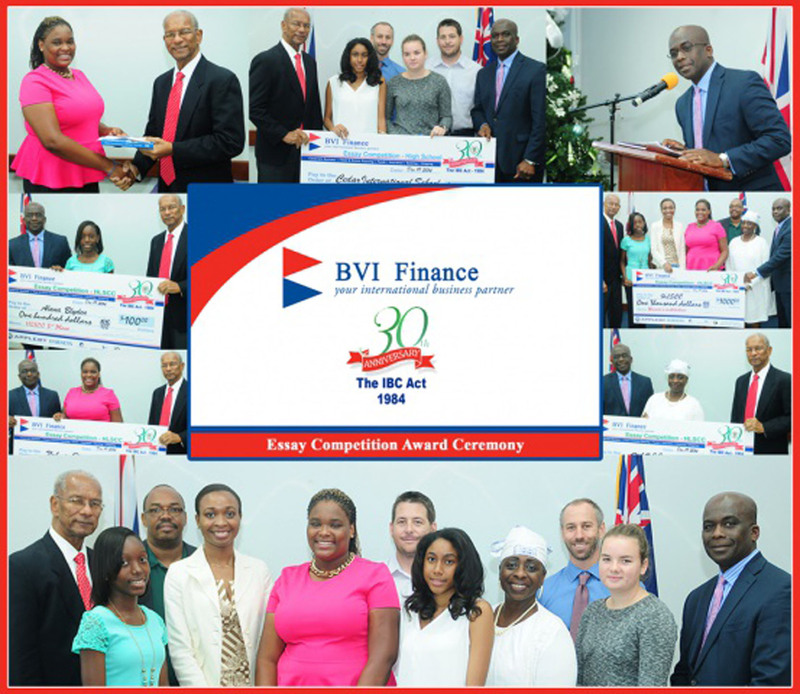 The competition was part of activities to mark the 30th anniversary of the passing of the International Business Companies Act (IBC) 1984, a significant and influential piece of legislation which laid the foundation of the BVI Financial Services Industry. 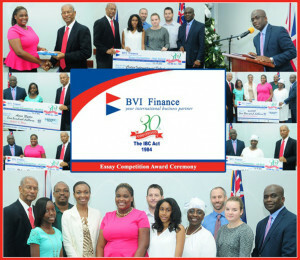 In celebration of the anniversary, the Government of the Virgin Islands, BVI Finance Industry and BVI Financial Services Commission, through BVI Finance (BVI International Finance Centre), hosted a series of commemorative events in September, under the theme “The IBC Act 1984…Ahead of Its Time”. The essay competition winners were awarded at a ceremony at the Premier’s Office. In his remarks at the at the prize giving ceremony, Premier and Minister of Finance Dr. D. Orlando Smith OBE congratulated the awardees and commended the initiative. “In reminding our people about tourism and being ambassadors for the Territory, I also have to stress on the importance of young people and education as a vehicle for creating a sustainable future for the BVI,” Premier Smith said. Finalists were awarded $500 for first place, $150 for second place and $100 for third place. The schools of the winners, Cedar International School and HLSCC, were awarded $1,000 each. Each winner also received a copy of the book “Offshore Financial Services: A BVI Text” by Paul Byles. The essay competition provided an opportunity for the financial services industry to support local schools and students in the efforts to become knowledgeable about the industry, and to highlight positive community involvement by members of the financial services profession. The sponsors of the essay competition included The BVI Financial Services Commission (FSC), Abbleby (BVI), Harneys, Association or Registered Agents BVI (ARA), NewHaven BVI, Intershore, Rawlinson & Hunter and Maples. BVI Finance (the BVI International Finance Centre) is solely responsible for marketing and promoting the BVI financial services industry, which is carried out by a professional pool of individuals both locally and internationally. More information can be found at www.bvifinance.vg, contactinginfo@bvifinance.vg or following BVI Finance on Facebook, Twitter and LinkedIn.